Welcome to Rings And Diplomas! 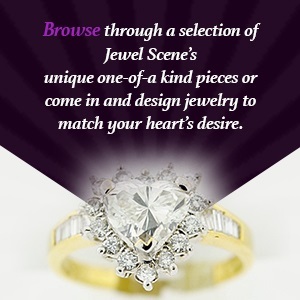 If you are looking for tips and advice to buying an engagement ring, you are at the right place. To get started, read and understanding the following paragraphs to find out what the 4Cs of diamonds are. Carat is actually a measurement of weight, NOT size. However, it should be relative to size. One carat is divided into 100 points. 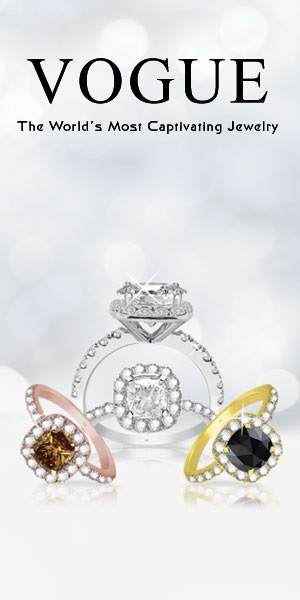 Two diamonds of equal quality can have vastly different values depending on their cut, color and clarity. This is illustrated in the two diamonds below. Carat weight is the easiest of the four c’s to determine, however the diamond MUST be loose. Too many jewelers approximate carat weight, for instance, when you buy a 1/2 carat diamond, which you assume to be 50 points, you may actually be getting less than that. Many store sell as low as 45 points, and represent is as “approximately” a 1/2 carat. There is nothing wrong with buying a “light” 1/2 carat, however the cost is significantly less. You should know that is what you are buying, and pay accordingly. Diamonds come naturally in almost every color of the rainbow, however most people are concerned with diamonds in the white range. Along with cut, this “C” is also very important in determining the overall beauty of the diamond. Color starts with the letter D, being the whitest, or best, and goes down the letter Z, being more yellowish. It is the lack of color, or whiteness in a diamond that allows the light to pass effortlessly through the stone and disperse that beauty back to the observer. Color is not so much white versus yellow, as the chart tends to indicate, it is more light versus dark. A white diamond will look very clean, crisp, and brilliant, with a lot of pizzazz. A yellow diamond will not really look yellow, as it will look darker and dirty, without nearly the same brilliance. These are differences that you can clearly see, as you do not need to be a gemologist to see these differences. Clarity refers to how many flaws, or inclusions, are in the diamond. In most cases, clarity has very little to do with the beauty of the diamonds, rather it effects how the diamond looks under the microscope. To determine a diamonds clarity grade, it must be examined loose, under 10x magnification by a gemologist. Whatever minute inclusions there may be make every diamond unique. These are nature’s fingerprints and in most cases do not mar the diamond’s beauty nor endanger in durability. Without high magnification, these flaws are invisible. However, the fewer inclusions, the rarer your diamond will be. Generally, if a diamond is SI-1 or above, it is flawless to the naked eye (VS-2 for emerald, princess and radiant cuts). If there is even a tiny inclusion visible to the unaided eye, the stone is usually graded an SI-2 or I-1. It is extremely important to view the diamond loose for clarity grading, as it is very easy to set an I-1 diamond, and by concealing flaws in setting, make the diamond appear to be much better. There is nothing wrong with this, as long as this is represented accurately and you pay according. By cut, we are referring to two things, the first being the shape of the diamond. By this we mean round, marquise, pear, oval, princess, emerald, oval, heart or trillion. Many people think fancy shaped diamonds cost more. In most cases, it is exactly the opposite. Many fancy shape diamonds actually cost less than a round. When a gemologist talks about cut, what is really being referred to is quality of proportions. The fact is many diamonds today are not cut as well as they could be. Many cutters choose to sacrifice some of the diamond’s beauty to achieve a stone that is a larger carat weight. Cut, more than any other quality aspect, gives the diamond its sparkle. A diamond gets its brilliance and scintillation by cutting and polishing the diamond facets to allow the maximum amount of light that enters through its top to be reflected and dispersed back, also through its top. As you can see below, when all the angles are correct, the light that enters is dispersed back through the diamonds top facets. When a stone is cut too shallow or too deep, that light that enters through the top is allowed to escape through the bottom and does not allow the maximum beauty of the diamond to be realized. The reason these poorly cut diamonds are sold in stores is cost. The wholesale cost of these diamonds are significantly cheaper than a well proportioned diamond. Remember, just because two diamonds have the same weight, does not mean they are the same size.